Blessed Being, as always it is a precious moment when we meet in your awareness. Your awareness is a mechanism of life flowing, and as Life interacts with your awareness, it is shaped as a glass shapes water. Life is shaped by your awareness. Each drop creates a mighty ocean. As you are aware and observing, Life is being shaped by you. What potential futures are you offering to Life with your awareness? As you observe life, whether it’s your own or another’s experience; it becomes important for you to be able to find your connection to a feeling of safety, a feeling of a potential. That is the powerful change that these times are offering. It is a change that occurs within you first, then connects out to life. Observing life is a good exercise in finding potentials within the challenge. It’s good exercise for finding potentials with the positive things that you are wanting to create. It’s good exercise for moving through challenge and taking the opportunity that challenge always offers. When you observe life, it is important to develop your strength that creates a level of neutrality with the physical experience so that you may connect with the potential improvement. As you observe life, your neutrality helps you find your compassion with the present moment. As you are able to shift your resonance within, you are able to connect with a potential that resides in the subtle realm that resolves challenge into a new potential. This is the core of creating a new experience, anchoring a new creation, rather than just repeating a pattern with a different façade. Your observance mechanisms—your thoughts and your feelings—are a powerful electromagnetic force. This is why these times are potent. You are recognizing that you can consciously utilize your subtle energy, your thoughts and emotions, to help create your manifestations. You are evolving an internal strength that maintains your connection as well as a more neutral, detached compassion so that new creation has root to grow. 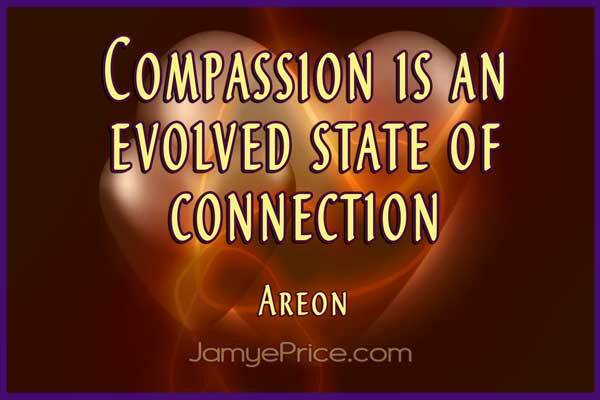 As you find compassion, what you are experiencing is an evolved state of connection or an evolved state of understanding. It is a heart-mind coherence that recognizes another’s experience beyond your own. This is why your empathic nature is becoming stronger. It is uncomfortable at first. As you have compassion for another, you are connecting, you are consciously connecting beyond yourself. You are beginning a process of reaching out to life and utilizing your subtle nature. You are connecting with something that is not physically in front of you, that is not physically palpable to you. Not all are strong enough to handle what has been natural to you. This empathic connection creates a shift in the vibrational structure surrounding Earth. It is most prevalent around you; that is where you experience it the most. Yet in addition, that which is non-local to you is also experiencing it. As you experience connection through compassion, you have non-localized your beingness. This is the power of your subtle bridge, your thoughts and emotions—they connect and create beyond form. At this point in time, you are still learning the whole truth of that power. You are still growing your strength to observe positive or negative and truly remain detached and compassionate, truly remain focused on the potential creation. This is an exciting journey that will continue to amplify your Love by enhancing your detached compassion. You are more consciously connecting in a non-local way. You already have enough heart-mind coherence to understand and experience outside of your physical self. You have begun to consciously utilize your subtle nature, and you are beginning a global connection, a global resonance, for the human species. You may have different genders, different races, different ideals in many ways; and yet with this compassion, you connect regardless of differences or physical separation. You connect consciously with your thoughts and feelings, and you are then experiencing physically experiencing beyond yourself. Your emotions respond, your thoughts respond, and you begin a process of resolving what you are experiencing. You begin a process of resolving what you are experiencing. That is profound. You are not controlling another’s experience, you are Loving the human challenge into potentials of resolution. From your logical human mind, you may think, “This feels bad. I’m crying. I don’t want to cry.” But with your subtle thoughts and feelings, you are resolving that experience within you. That is profound. This process is so natural to you that it does not seem spectacular or powerful. Indeed, it can even seem overwhelming, futile or pointless. But it is actually, invisibly, a profound advancement for you and for humanity as a species. Your compassion is profound. Your vibration connecting with an experience ripples information into the field of life around you. The physical Earth responds, the biosphere around the Earth responds, the solar system receives that information and responds. It is profound. Your process of feeling it begins a desire to resolve it, and that information is well understood by the universe. As you learn that your thoughts and emotions create, the understanding begins through that which you already know. Then experience teaches you wisdom. It is common to begin to perceive that controlling your thoughts and emotions will control your life’s creations. Yet all that does is apply the rules of the physical into the subtle. Different rules apply. Unconsciously you may begin to control your own life so that you can control your thoughts and emotions. Then experience teaches you wisdom as you discover that controlling your thoughts and emotions does not create a perfect life. You then begin to discover a neutral response to experiences rather than an avoidance of experiences that stimulate negative reactions. From this powerful point of strength [neutrality], you find the potential resolution that is still a seed beneath the earth, yearning to blossom. You root that potential to grow. It is palpable to those that are sensitive, and it has an effect that you do not often get to see. It is not easily correlated by the logical mind, but humanity begins to change. It is a very physical, vibrational experience and yet it is so natural to you that it feels as if you have no choice. In your subtle form, your higher self, your connected nature, you make a choice. You make the choice to incarnate here in this uniqueness and to be exposed at certain times to people and information that supports and challenges you. It catalyzes compassion within you. It offers you a potential to strengthen yourself. It offers you a potential to understand and experience on a new level. When you observe a challenge or a triumph, it is always profound potential. 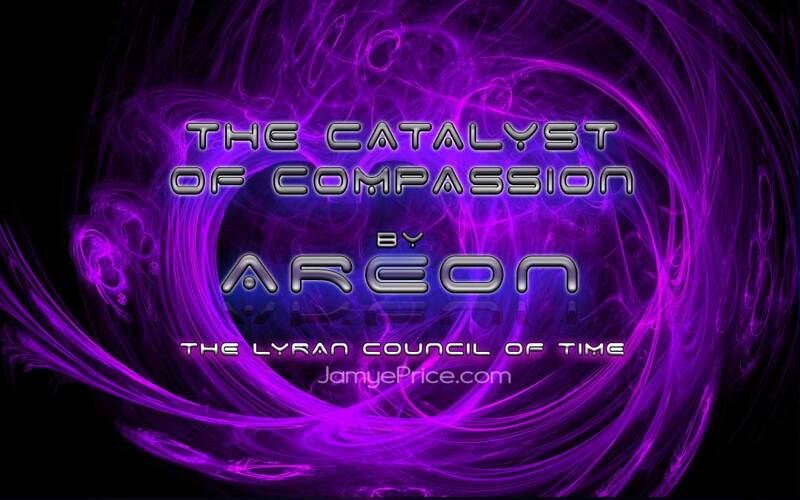 The mere act of your compassion is a major catalyst for the evolution of you and humanity. It is profound what you do. It is profound who you are. With your compassion, observe your strength and hold healthy boundaries that feel appropriate and supportive to you. Yet keep interacting and sharing with life. The walls that you live within are good healthy boundaries. They were originally created to keep the weather from harming you, to keep others or animals from harming you. But they are so much more. Once safety was established, the walls then allow you to shape an environment. They allow you to nurture those you love. They allow you to find your unique resonance and go out into the world as appropriate for you. If you only stay within them because there is potential harm in this physical reality, then they are not healthy boundaries. They are not helping you. Allow your boundaries to protect you and keep you flowing in and out with life. You will find support and replenishment so that you can experience challenges that are going on in your own life or around you, and still feel compassion. Observe your compassion, so that you are not feeling too pushed or too pulled, at least for too long. When you hear of challenges or tragedies, do you often have an emotional reaction? Yes, that is appropriate. It is not an indicator of a lack of ascended nature or a lack of spirituality that you feel anger, resentment, or sorrow when you see challenge. When you observe trauma, your authentic emotions are your heart-mind complex transforming and resolving based on what you are experiencing. That is powerful and profound. As you can deal with your positive and negative feelings, you are honoring your strength. You need not seek out drama, just observe what you are naturally drawn to experience. You are honoring your boundaries and not taking life onto your shoulders, but letting what is appropriate to flow through. Your compassion may feel challenging at times and that is perfect. Let things resolve within you but do not take the responsibility of the world into you. Allow your experiences to flow, this why you still shut and lock your doors. Not everyone in the world is ready for compassion, honor and equality in the physical realm. Observe your compassion so that you are not feeling too overwhelmed. If you noticed that you are pulled for too long in a direction, observe yourself. Step back, close your doors, allow your strength to replenish, and then open them again. That is an important aspect of honoring the power of your connection. As always, we honor the connection we have with you in athis moment of your awareness. You are a powerful force of change, and your Love—the passive force—builds form in the subtle realm. Your Love changes Life. Eeshah, Ehmah, Ehtah. We are connected to You, We Love You, We are forever changed by the connection. Areon is a perfect fit in my group of guides! I’m so grateful to have on my journey. Thank you Jamye???? Wow, Gregory! Awesome! Enjoy your amazing trip! I am confused by this post. If I am feeling “anger, resentment, or sorrow ” how can that possibly be a “neutral response to experiences”? Hi Nancy, I don’t see where it says feeling those emotions is a neutral response. Overall, it is about allowing your authentic emotions to flow because they begin a process of seeking resolution (releasing the emotion rather than suppressing or avoiding). Your desire for change (compassion) is a powerful catalyst that creates change. You then begin to develop a neutrality with your emotions because you aren’t avoiding or forcing. I hope that helps. Excellent, Kathy. What a great realization. There is a balance available in that situation. Blessings! resonated with me.I am so grateful for this beautiful gift. Thank you so much, Janet! I really appreciate you sharing that! Much Love!